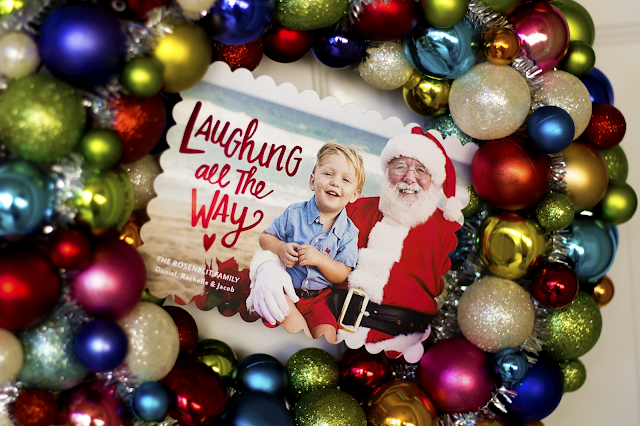 It's my favorite time of the year, when Christmas cards start arriving in our mailbox! I love opening Christmas cards and seeing everyone's smiling faces. I'm always amazed at how much kids have grown, and my own kid is no exception! I keep all of our own Christmas cards from past years together in a box and it's so crazy to look back and see how much Jacob has grown and changed from his first Christmas back in 2014. We ordered from Tiny Prints this year and it could not have been easier! We first ordered from Tiny Prints back in 2010 when we were putting together the Save the Dates for our wedding, and I've always been impressed with their quality and selection. I browsed their site for days before finally selecting a design. The red stamped foil is what really sold me on this design, but they also have glitter, laser cut and gate fold cards too! It's hard to tell unless you see it in person, but I chose their pearl white shimmer cardstock and it has the prettiest sheen to it! I love how the red foil complements Santa's suit and contrasts nicely with the blue of the ocean and Jacobs shirt. The foil designs at Tiny Prints are available in gold, silver, rose gold, and red. This adorable picture was taken by Melissa Ashley Photography down on Deerfield Beach! If you have your life (and address book) more together than I do, Tiny Prints will even address your cards free of charge with their FREE recipient addressing. I'm just not that pulled together so I addressed mine the old fashioned way. To save time I ordered a personalized address stamp, as well as personalized postage stamps. Tiny Prints even gives back! Through their partnership with Baby2Baby they help provide nessecities to low income children in need. 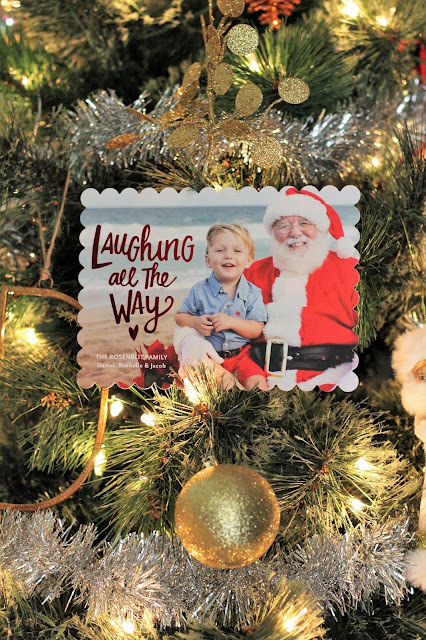 Every birth announcement, holiday card, or ornament from the Baby2Baby collection goes towards the cause. 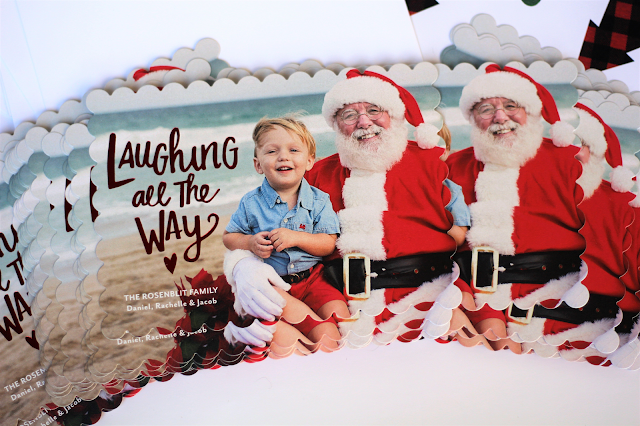 Many of you will have these beautiful cards arriving in your mailboxes this week, keep your eyes peeled! 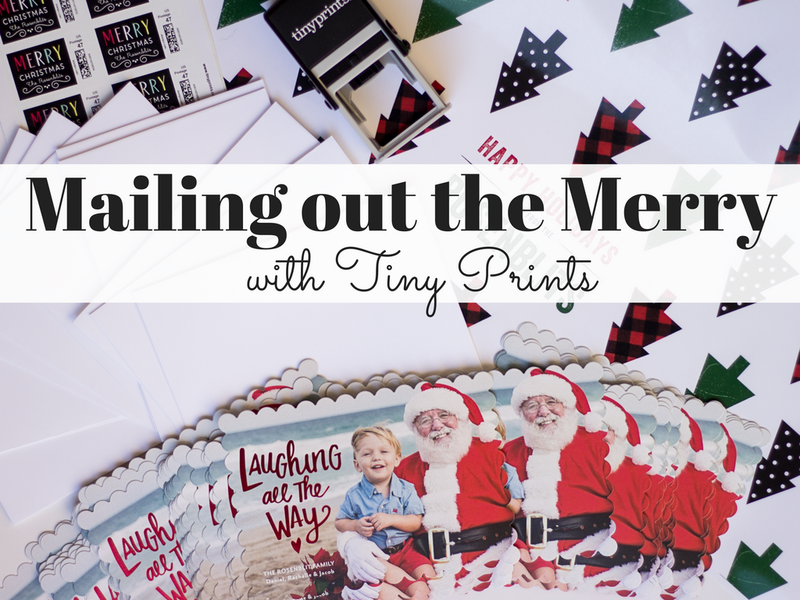 Christmas Cards: Tiny Prints "Countless Fun"
This post was sponsored by Tiny Prints, but as always all thoughts and opinions are my own and I only endorse products I love!